I am interested in the effect of changing environmental conditions on lake ecosystems. I study the invertebrate communities in lakes, because these organisms are very sensitive to changes in climate, nutrients, hydrology, pollutants, and several other environmental factors. Most of my research takes place at the interface between modern limnology and palaeolimnology, using stable isotope techniques and assemblage composition of living, subfossil and fossil invertebrates. I like to use material of different invertebrate groups such as chironomids (non-biting midges), cladocerans (water fleas), bryozoans (moss animals), Coleoptera (beetles), and several others to understand changes in lakes in the past and the present. For example, I'm currently working on an AHRC-funded project investigating how human lake dwellings (Crannogs) in Ireland and Scotland impacted their environment. 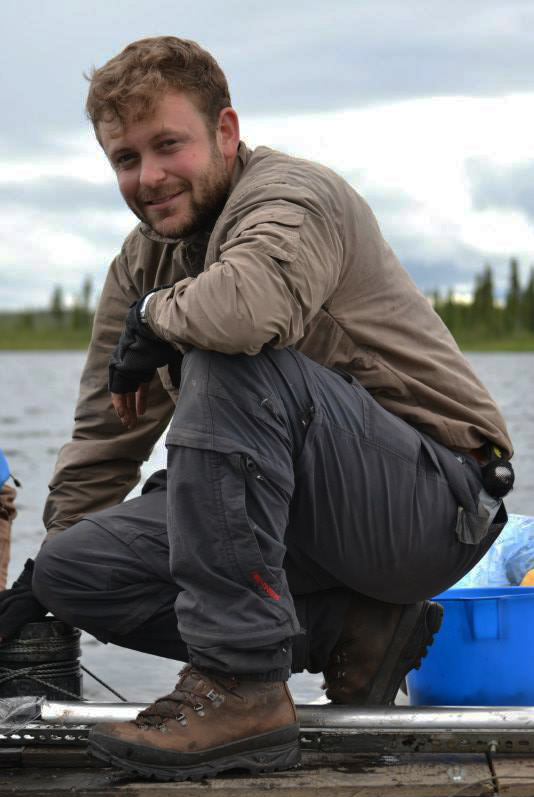 I'm also investigating how changes in climate and vegetation affect carbon cycling in arctic lakes (LAC). Another research interest concerns the role of methane in past and present foodwebs in lakes, using stable carbon isotopes to trace this (RECONMET). I'm also interested in using stable oxygen and hydrogen isotopes of various aquatic organisms to study links between climate, hydrology, and habitat. My study sites include arctic lakes in Alaska, Greenland, Norway, and Siberia, boreal lakes in Alaska, Sweden and Finland, and temperate lakes in the UK, Ireland, Germany, the Netherlands and Switzerland. When she can, my wife Hannah Laurens comes along!